I hope all of you are planning on getting sufficiently stuffed today and spending lots of quality time with loved ones! I have so many things to be thankful for, and today is a good day to count my blessings and give thanks. amazing outfit! love the pictures! The green sweater dress and scarf work perfectly together. I love the way you are rocking the boots and JCrew vest! This outfit is unbelievably cute! I LOVE it!! 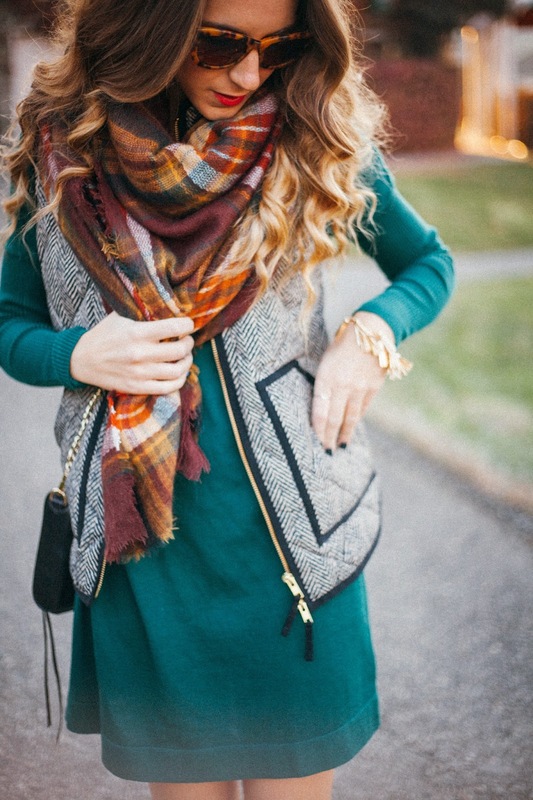 That scarf is perfect with that green dress and vest!